At Christmastime last year I very much enjoyed the Hallmark TV-movie THE CHRISTMAS CARD, which I reviewed here. So it was a nice surprise today to discover that this movie was released on DVD last week. THE CHRISTMAS CARD is a satisfying, enjoyable film well worth purchasing or Netflixing for the upcoming holiday viewing season. And while you're at it, be sure to also check out ONE SPECIAL NIGHT with James Garner and Julie Andrews. I caught up with it last Christmas for the first time and thoroughly enjoyed it. Then I remembered that Congress pushed back the end of Daylight Saving Time for another week. These sorts of technological hassles were predicted back in 2005 when Congress passed the legislation. I could have hunted down a "patch" for the Palm to prevent this problem, but it seemed like more hassle than it was worth. Which is how I feel, in general, about turning the clocks forward and backward twice a year. One of the things I haven't understood is some articles say that the later time change will make a safer Halloween because children will trick or treat while it's still daylight. I don't know about you, but in our neighborhood the children wait till it's dark to start going door to door. Which simply means a delay in the children going out -- on a school night -- rather than a "safer" Halloween. I was saddened today to learn of the death of Robert Goulet at age 73. 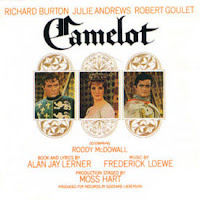 I have listened to the Broadway cast album of CAMELOT scores of times over my lifetime. It's a treasure, and he was a significant part of the CAMELOT magic. Goulet also recorded some particularly good Christmas music, including a memorable rendition of "Home for the Holidays." Katharine Hepburn's estate has donated her theater-related papers to the New York Public Library for the Performing Arts at Lincoln Center. 22 boxes of papers were donated. Hepburn's film-related papers have previously gone to the Margaret Herrick Library of the Academy of Motion Picture Arts and Sciences. Her personal papers and diaries will eventually also be archived at the Academy. What a treasure trove for future film and theater historians! 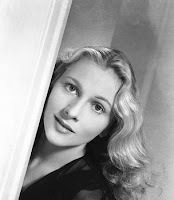 Last week Joan Fontaine celebrated her 90th birthday. (Fontaine's sister, Olivia DeHavilland, is one year older.) Self-Styled Siren and Movie Morlocks had nice tributes. Fontaine's THE CONSTANT NYMPH, which was described at length by Movie Morlocks, has been largely unseen for decades due to ongoing legal disputes. It was screened this month at USC as part of a program honoring soundtrack composer Erich Wolfgang Korngold, but alas, my schedule didn't allow me to make the drive up to L.A. to see it. I hope the screening is an indication the film might be more widely available in future. Television's NCIS celebrated the airing of its 100th episode tonight. Although I lost much of my interest in the show when they killed off Kate (Sasha Alexander), the program is well done and greatly enjoyed by other family members. As one critic points out, the show's humor is a key to its success, as is the perfect match of actor and role with Mark Harmon starring as Leroy Jethro Gibbs. 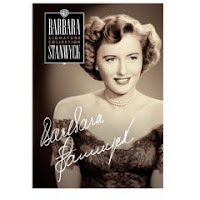 Tuesday, October 30th, is the release date for the 6-film Barbara Stanwyck Signature Collection. Details on all of the titles and extras can be found at this post written when the set was announced last July. I saw a bit of one of the movies, EAST SIDE, WEST SIDE, a few days ago and it looked very interesting. James Mason is torn between Barbara Stanwyck and Ava Gardner, while Van Heflin has to decide between Stanwyck and Cyd Charisse. Quite a cast! I'm particularly looking forward to owning a nice DVD copy of MY REPUTATION, which I very much enjoyed last January. August 2018 Update: Please visit my original post on this set for updates on the titles in this set being reissued. Torre and Mattingly to the Dodgers? Tonight's hot rumor is that the Dodgers are firing manager Grady Little and replacing him with Joe Torre. Don Mattingly would be a bench coach. I'm sorry, but this is almost as bad as a Giant being signed to coach the Dodgers. I've been rooting against the Yankees since 1977 (grin). And I like Grady Little, despite the Dodgers' season collapsing in 2007. Of course, Little did play for the Yankees in the minors, but still...Joe Torre and Don Mattingly?! Well, it's going to be interesting, that's for sure. In other Dodger news, there's a chance the team may play a Freeway Series game or two in the Coliseum as part of the team's celebration of 50 years in Los Angeles. A brief return to the team's early Los Angeles home is a nifty idea. Tuesday Update: Dodgers manager Grady Little resigned today, and the Dodgers are said to be close to signing Torre. With rumors that "A-Rod" might follow Torre to L.A., one sportswriter asks, "Do Dodgers Aim to Be Yankees West?" A bunch of New York Yankees in Dodgers uniforms might work for some people, but not for this L.A. Dodgers fan. Rudolph Giuliani made a great point about the perils of socialized medicine: "My chance of surviving prostate cancer, and thank God I was cured of it, in the United States: 82 percent. My chances of surviving prostate cancer in England: only 44 percent under socialized medicine." Republicans need to keep hammering these points home. From last Saturday here at LMM: Britons Forced Abroad For Medical Care. A lightsaber used as a prop in RETURN OF THE JEDI is currently traveling through outer space aboard the space shuttle Discovery. The lightsaber in question was used by Mark Hamill's Luke Skywalker in JEDI. According to USA TODAY, "The lightsaber's intergalactic journey began with an idea from Space Center Houston, the official visitors center for NASA's Johnson Space Center. The visitors center will display it as part of an exhibit on Star Wars' 30th anniversary." George Lucas attended Discovery's blastoff into space. Good news for fans of NEWHART: Season 1 is rumored to be coming to DVD in early 2008. I've been recording the show off American Life Network since last summer, and would be thrilled to upgrade my video copies to DVD. I have a feeling that this would be a very popular DVD release. November 8, 2007 Update: It's now official. 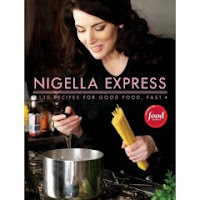 Nigella Lawson's newest cookbook, NIGELLA EXPRESS: 130 RECIPES FOR GOOD FOOD, FAST, debuts on Tuesday, October 30th. The New York Daily News has an interview with Lawson about the book. We've enjoyed several recipes from Lawson's book FEAST over the past year or so, so the new book should be worth checking out. My fellow PEANUTS fans will want to be sure to watch AMERICAN MASTERS on Public TV October 29th. The show pays tribute to Charles M. Schulz. Click the subject link for details. More info on the show at Newsday and The New York Times. 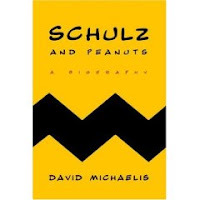 David Michaelis's new book, SCHULZ AND PEANUTS, has received good reviews yet has not been without controversy, as the Schulz family doesn't believe the book presents an accurate portrayal and unfairly accents the negatives in Schulz's life. 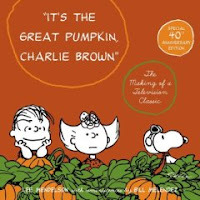 On a happier book note, I recently discovered that last year there was a new book published, IT'S THE GREAT PUMPKIN, CHARLIE BROWN: THE MAKING OF A TELEVISION CLASSIC. I'll be checking this book out. It sounds like it would make a good companion volume to 2005's A CHARLIE BROWN CHRISTMAS: THE MAKING OF A TRADITION. London's Daily Telegraph reports that this year more than 70,000 Britons will receive health care abroad in order to escape the lengthy waits which are part of Britain's socialized medicine system. By the end of the decade that figure is expected to balloon to 200,000. A spokesperson for Britain's Health Department defended British medical care, saying that nearly half of all patients were treated within 18 weeks of seeing a general practitioner. What's scary is that there are those in this country, including Hillary Clinton, who think socialized medicine is a great idea and would love to bring the same sort of medical care to America. FOUR WIVES seamlessly picks up where FOUR DAUGHTERS (1938) left off, depicting the lives and loves of the musical Lemp family. Just a short time has passed since the close of the original film. The two married Lemp daughters, Thea and Emma (Lola Lane and Gale Page), are hoping to be mothers; songstress Kay (Rosemary Lane) has a crush on Clint, a nice young doctor (Eddie Albert); and the widowed youngest sister Ann (Priscilla Lane) is recovering from her short-lived marriage to troubled Mickey Borden (John Garfield, seen in flashbacks) and celebrating her (re-)engagement to her once and future true love, Felix (Jeffrey Lynn). Of course, the family will find a few surprises along the way. I actually liked FOUR WIVES better than the Oscar-nominated original film, which was weighted down by the depressive presence of Garfield's character. In this film, Ann struggles with feeling loyal to the dead Mickey, and guilt that he's gone and she didn't love him enough, but these scenes are well balanced with lighter moments, such as Kay's courtship with the forgetful doctor. The large cast all make the most of their characters and their time on screen. The filmmakers did a good job with continuity from the first film, making nice use of memorable bits such as swinging on the gate, Ann's bracelet, and a family joke about who cooked dinner. Unlike some sequels, which use unfamiliar actors or otherwise disappoint, the viewer has the feeling of having simply rejoined the story in progress. Unfortunately, it appears from the trailer that some of Emma's scenes were left on the cutting-room floor, which is a shame. I thought as I watched that her story was glossed over too quickly. If any outtakes survive, it would be wonderful to have them preserved along with the three films in this series on a DVD. There are some particularly striking moments in the film. An after-dinner musical scene, with Clint joining the family circle for the first time, is achingly beautiful. And the climactic performance of "Symphonie Moderne" is quite stirring. This piece, said in the film to have been written by the late Garfield, was composed by Max Steiner. The same year FOUR WIVES was released, Steiner wrote the unforgettable score for GONE WITH THE WIND. FOUR WIVES, like FOUR DAUGHTERS, was directed by Michael Curtiz. It runs 110 minutes. There is one more film in the Lemp Family series, FOUR MOTHERS (1941). All of the movies are well worth the investment of time. Loosely related films previously reviewed here at LMM: DAUGHTERS COURAGEOUS (1939) and YES, MY DARLING DAUGHTER (1939). Update: And here's a review of FOUR MOTHERS (1941). May 2011 Update: FOUR WIVES is now available on DVD-R from the Warner Archive as a single-title DVD release or as part of the Four Daughters Movie Series Collection. PICKUP ON SOUTH STREET is an absolutely terrific film noir. Charismatic Richard Widmark plays antihero Skip McCoy, a pickpocket who inadvertently "lifts" a hot piece of microfilm wanted by Communist agents. Soon everyone is after him -- the police, the Communists, and the girl who'd been carrying the film in her purse. This is a crackling good, fast-paced story with unusual characters. Not many movies have the audience rooting for a pickpocket, a stool pigeon (Thelma Ritter), and a girl of questionable repute (Jean Peters). 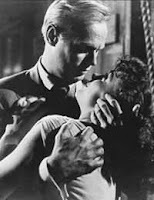 The interplay between the three leads is wonderfully unique, with some great dialogue, such as Ritter's crack to Widmark, chiding him when she thinks he's involved with the Communists: "I knew you since you was a little kid. You was always a regular kind of crook. I never figured you for a louse." Honor among thieves doesn't leave room for treason, it seems. Ritter was nominated for the Academy Award as Best Supporting Actress for this film. Widmark and Peters' love-hate relationship -- when they first meet he knocks her out, then wakes her up by pouring beer on her! -- is fascinating to watch develop. Their strange pairing is constructed in a very short amount of time, but it makes perfect sense in the context of the story. The three leads are backed by Murvyn Vye as Captain Tiger, Skip's not-so-friendly nemesis on the police force, and the wonderful Richard Kiley as the man who was supposed to hand the film over to the Communists. PICKUP ON SOUTH STREET was shot in black and white and runs 80-81 minutes. It was written and directed by Samuel Fuller. According to Eddie Muller's great book DARK CITY, the movie was filmed in a mere 10 days. The film has been released on DVD as part of the Criterion Collection. DVD Savant gives the set a rave review. If only there were a commentary track...maybe sometime Fox will do a reissue and include one. The movie is also available on VHS. I watched a video copy and the print was excellent. PICKUP ON SOUTH STREET is a gritty, fascinating, and very different movie which I highly recommend. Unlike many other conservatives, I haven't been anxious to get on the Mike Huckabee bandwagon. I've had a disquieting sense and vague memory that he wasn't really all that conservative in Arkansas, but didn't make the time to research the facts. So I was quite interested to read this John Fund article on Huckabee's questionable track record as a conservative in Arkansas. Quoting one Arkansas citizen: "He's hostile to free trade, hiked sales and grocery taxes, backed sales taxes on Internet purchases, and presided over state spending going up more than twice the inflation rate." I do wish Fund's article had even more solid facts to replace some of the simple dislike expressed for Huckabee, but the article prompted me to do a little digging of my own. The Arkansas Democrat Gazette has the rundown on Huckabee's tax hikes as Governor or Arkansas, and it's quite a list. "The average Arkansan’s tax burden grew from $1,969 in the fiscal year that ended June 30, 1997, to $2,902 in the fiscal year that ended June 30, 2005, including local taxes." Jennifer Rubin at National Review last February: Huckabee "was not the poster child for smaller government." "By the end of his second term he had raised sales taxes 37 percent, fuel taxes 16 percent, and cigarettes taxes 103 percent, leading to a jump in total tax revenues from $3.9 billion to $6.8 billion. The Cato Institute gave him a failing grade of 'F' on its fiscal report card for 2006 and an only marginally better but still embarrassing 'D' for his entire term." Huckabee's nanny state initiatives included mandatory weigh-ins for schoolchildren, who were issued "report cards" on their weight and body mass index. I think this was one of the things at the back of my mind that had first troubled me about Huckabee; few things irk me more than the state, via the schools, attempting to take over parenting. In closing, check out this thought-provoking post at Say Anything: "Why Mike Huckabee Can't Be the Conservative Choice for President." In the fun WWII comedy PILLOW TO POST, Ida Lupino plays Jean Howard, a woman determined to succeed as a traveling saleswoman for her father's oil well parts company. While Jean is on the road attempting to make a big sale, the only hotel room available for miles is in a cute little auto court which only rents to married couples. What's tired Jean to do? Quickly come up with a husband, of course! She persuades a nice lieutenant (William Prince) to register as her husband, and chaos ensues from there, as the marital charade escalates. I thoroughly enjoyed this film. I was surprised that Leonard Maltin only gave it 2 stars...I'd give it a strong 2-1/2 or even a 3. I think this is the kind of movie which improves with age, other than Willie Best in one of his roles which seems stereotypical from today's vantage point -- but it must be said he did have some funny moments in this. Even a "middling" movie of 1945 looks like a gem compared to so much of the dreck produced today. From the perspective of 2007, what a treat to see the hugely talented Ida Lupino in a rare comedic role! And what an interesting peek into the culture of the era, from the auto court -- the proofreader in me was amused by the frequently seen auto court sign with "Accommodations" misspelled with a dropped "m" -- to the clothing and music to the firm moral code. Throw in a guest appearance by Louis Armstrong and Dorothy Dandridge, and you've got the makings of a fun movie. And then there's the cast. William Prince, who had a long-running career in television, is fine as the exasperated but soft-hearted lieutenant. Even better is Sydney Greenstreet as Prince's commanding officer, a hearty believer in married life. Greenstreet's energy pushes the movie up a notch every time he comes on screen, and his final scenes are quite touching, as well. Familiar faces abound, from "Bobby" Blake as the auto court's resident pest to William Conrad as a motorcycle officer and Joyce Compton as a bus passenger. Ruth Donnelly, Stuart Erwin, and Grady Sutton are also in the cast. Johnny Mitchell, who plays Lupino's tall and handsome potential customer, Slim, also acted under the names Douglass Drake and Douglass Newland before his tragic death in 1951. He adopted the name Johnny Mitchell from a character he played in MR. SKEFFINGTON with Bette Davis and Claude Rains. PILLOW TO POST runs 92 minutes and was filmed in black and white. The movie was directed by Vincent Sherman, who passed away last year just shy of his 100th birthday. You can read more about Sherman in this post. PILLOW TO POST is not yet available on DVD, but can be seen on cable on TCM. Vote here to indicate interest in a DVD release or suggest that TCM show the movie. You can watch the trailer here. 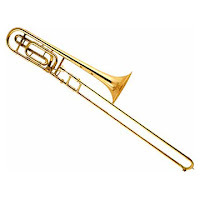 It includes a snippet of Louis Armstrong's musical performance. Ida Lupino movies previously reviewed here at LMM: ON DANGEROUS GROUND, THEY DRIVE BY NIGHT, and THE MAN I LOVE. November 2015 Update: PILLOW TO POST is now available on DVD from the Warner Archive. My review of the DVD is here. 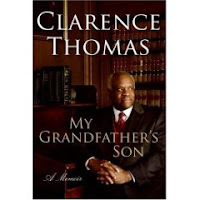 Friends of Clarence Thomas have put together a nice website related to Thomas's new autobiography, MY GRANDFATHER'S SON. The website has many links to articles and blog posts, as well as audio and video regarding the book. Audio links to interviews, such as the lengthy interview Thomas did with Rush Limbaugh, are among the site's offerings. Thomas's friends -- who are named at the site -- write, in part: "The website is intended to collect what we believe are stories that portray the real Clarence Thomas and his life." Previously at LMM: New Book: My Grandfather's Son: A Memoir, Kristol on Thomas: Read This Book, and Meet My Friend Clarence. It's been announced that Laura Ingraham will be joining Fox News Channel. Ingraham will be the primary substitute host on both THE O'REILLY FACTOR and HANNITY & COLMES, and will contribute elsewhere on the network. Previously at LMM: New Book: Power to the People and Laura Ingraham for SCOTUS. Lieutenant Governor John Garamendi is an embarrassment to the state...he went on Chris Matthews' show last night to sneer that President Bush's planned Thursday visit will be a distraction. He said, "I got some doubt about the value of President Bush coming out here... President Bush comes out, we'll be polite. But frankly, that's not the solution. How about sending our National Guard back from Iraq?" Of course, if the President didn't come, you know Garamendi would be on TV sneering that the President doesn't care about California. Senator Barbara Boxer has also tried to blame fire destruction on the National Guard being in Iraq, which is an absurdity. The Governor has already pulled members of the National Guard off the border in order to carry out duties such as maintaining order at Qualcomm Stadium. Guardsmen are not trained to fight the wildfires our state is currently dealing with. Then there's Jon Klein of CNN, who blithely planned TV promotions around the tragic losses and worries suffered by many of my fellow Californians. In a memo acquired by Matt Drudge, Klein was quoted speaking of the fires: "We should be able to use it to push to the Planet in Peril special tomorrow night." As for Harry Reid blaming the wildfires on global warming, don't get me started...these wildfires have been going on with regularity for decades or more. You've just got to love politicians and media types who are happy to use other people's problems to sell TV ads, hype global warming fearmongering, or advocate against the Iraq war. A follow-up to my previous post on cookbook editor Judith Jones: the New York Times has published a profile of her in Wednesday's paper. 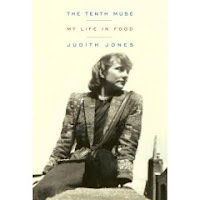 Jones's book, THE TENTH MUSE: MY LIFE IN FOOD, was published today. Deborah Kerr fans won't want to miss Mike Clark's rundown in USA Today of a dozen excellent Kerr films. I've seen half of them -- the titles listed between 1950 and '58 -- and hope to soon add THE SUNDOWNERS to that list. The London Times quotes Kerr's daughter Francesca: "Although she had many great roles over the years, she didn’t necessarily have a favourite herself. The family, I think, loved her best in The Sundowners opposite Robert Mitchum, a lovely film set in the Australian outback." Also worth reading: the New York Times obituary. I first learned of this upcoming movie last week, as it was filming in a library on the USC campus. Michael Sheen, who played Tony Blair in THE QUEEN, takes on another real-life personage in a film with unusual subject matter: FROST/NIXON, about the 1977 TV interviews David Frost conducted with former President Richard M. Nixon. Ron Howard directs, with Frank Langella playing President Nixon. Sheen and Langella also played the roles on stage. Former child actress Patty McCormack (THE BAD SEED) plays Patricia Nixon. Matthew Macfadyen (PRIDE & PREJUDICE), Kevin Bacon, and Oliver Platt round out the cast. More info was in today's issue of USA TODAY. Here in California as many as half a million people have fled their homes as wildfires advance. The disaster is spread over multiple counties and cities in Southern California. Have you heard Governor Schwarzenegger wringing his hands and blaming the President for not sending in the National Guard and FEMA? Nope. He's handling the disaster like most responsible governors would. He called in the National Guard -- because that's the Governor's responsibility, not the President's. Funny thing, I bet you won't hear anyone in the mainstream media mention that this week. Compare the scene at Qualcomm Stadium with the Super Dome (click on subject link). State governments never know when hurricanes or massive wildfires will hit, you just know they will, and you're supposed to plan for it and take care of your state's citizens. 10,000 people are being safely fed and housed at Qualcomm, with the National Guard and police standing watch. No one's screaming to the media that FEMA hasn't shown up to handle it. A 90-year-old evacuee said, "Everyone's so friendly. I guess it's making us all feel secure at a time when we all feel so insecure." The words of one evacuee about his personal situation could also be used to describe how governors deal with emergencies: "You can deal with it, or you can whine about it." California chose to deal with it -- as the state has during past disasters -- and the difference from Louisiana is stark. Update: The latest figures I've heard on TV this evening -- which I have not yet been able to verify elsewhere -- are one million evacuated and 20,000 at Qualcomm Stadium. It's said to be the biggest evacuation in California history. The weather and air in Orange County today can only be described as nasty. It was extremely hot -- nearly 100 -- and the air quality is terrible. People who have to work outdoors, like our mail carrier, are often seen wearing masks. P.E. and sports are cancelled. The Trojans practiced at USC -- scroll down to see the eery photos at Trojan Ticker -- but then complained of breathing troubles and sore throats. 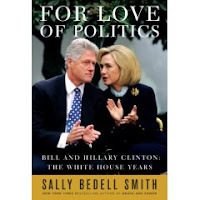 Tuesday, October 23rd, is the publication date for Sally Bedell Smith's FOR LOVE OF POLITICS, which I first wrote about last month. I've ordered the book, as I've enjoyed several of Smith's previous books. I think it's important to be as informed about the Clintons' pasts as possible, before we deal with the Clintons' future as it unfolds over the coming year. Smith says that she was stonewalled by the Clinton Library, who refused to allow her access to Hillary's White House papers. The papers at the library are controlled by longtime Clinton associate Bruce Lindsey. According to the National Archives, "barely one half of 1 percent of the 78 million pages of documents and 20 million e-mail messages" are public. Keep in mind that the library is funded by taxpayers -- yet taxpayers have no access to over 99% of the Clinton records we are paying to store. Newsweek, in a surprisingly acidic piece titled "Papers? I Don't See Any Papers," writes that while Bill Clinton has claimed he wants his administration's papers released to public scrutiny -- blatantly lying that the Bush Administration is responsible for delays in his records being released -- he has privately written to the National Archives urging that the Archives withhold large sections of his administration's records from the public. Clinton's requests for document suppression go far beyond anything requested by the last two Republican Presidents. It is believed that the documents will remain under lock and key until after the 2008 election...eight years after the end of Bill Clinton's Presidency. More on Smith's book at NewsBusters. The title of this film is rather ironic given the fire situation in California today...I had actually started watching this a few days ago but have had such a heavy work load that I didn't have time to finish it until this evening. TOO HOT TO HANDLE stars Clark Gable and Walter Pidgeon as newsreel photographers who compete with each other for scoops and the attention of Myrna Loy, who plays a dashing aviatrix. Gable and Pidgeon's characters are as interested in creating news as they are in covering the real thing, which just goes to show that maybe things haven't changed as much in the last seven decades as one might think. The film is mildly entertaining thanks to the star power of the three leads and a sterling supporting cast, including Walter Connolly, Leo Carrillo, Marjorie Main, and Virginia Weidler. By film's end, however, Gable has been reduced to dancing around a South American jungle in a tribal costume, while saving Loy's brother from a terrible fate, and one is rather glad when the overlong film draws to a close. TOO HOT TO HANDLE runs 107 minutes. It was shot in black and white and directed by longtime MGM director Jack Conway. Conway directed Gable in other films, including BOOM TOWN and THE HUCKSTERS -- click titles for my posts on those films. Conway also directed WESTWARD THE WOMEN which I enjoyed very much last May. TOO HOT TO HANDLE has been released on video but has not yet been released on DVD. Perhaps it will be included in a future volume of Gable films. TOO HOT TO HANDLE can be seen on cable on TCM. TCM has the trailer available for online viewing. Update: TOO HOT TO HANDLE is now available on DVD-R from the Warner Archive. Here in suburban Orange County the sky is a strange orange-brown and the air is thick with the smell of smoke, but we are safe from the fires sweeping Southern California. Many families are not so fortunate and are evacuating their homes for safety's sake. Malibu, Canyon Country, Irvine, and Lake Arrowhead are just a few of the areas hit hard by fire. I was sorry to hear that dozens of homes have already been lost in Lake Arrowhead, where we have enjoyed many happy vacations over the years. The Twin Peaks area next to Arrowhead is currently under voluntary evacuation. The governor has called in the National Guard to help fight the fires. A report from another Orange County resident is at Holy Coast. Update: Check out the great video of a DC-10 dropping fire retardant over the fire in Lake Arrowhead. We saw this live on the news this afternoon and were really wowed by it. The AP reports the plane was carrying up to 12,000 gallons of fire retardant. More details emerged today in the story of Mrs. Clinton's mysterious Chinese donors, who don't seem to earn enough to afford making donations in the thousands of dollars. Power Line (subject link) links to a New York Post story about a donor who was reimbursed for her $1000 donation to Mrs. Clinton. "Laundered" donations of this type are illegal. Ed Morrissey: "Who wants Hillary elected so badly that they keep using Asian-Americans as straw donors to flood her coffers with their cash? Who has this much cash to dump into the presidential election? Perhaps the FBI will start looking for those answers -- and soon." Monday Update: The Washington Post on "Dishwashers for Clinton." Does the American public really want to return to the Clintons and the corruption that inevitably goes with them? Sigh. One of the least pleasant aspects of living in Southern California is that it seems almost inevitably part of October is windy and smoky. The hot, dry Santa Ana winds easily spread wildfires, and they are burning all over Southern California at the moment. The forecast is for a couple days of high heat and high winds, so things may get worse before they get better. The closest fire, in Irvine, has filled the local air with smoke and ash. We're nowhere near any danger zones, just close enough to experience the unpleasant side effects. My good wishes are with all the families more significantly affected by the fires. Monday Update: Don't think I ever recall Santa Anas as fierce as they were overnight. Wasn't easy sleeping through the noise! An update has been posted above. Bobby Jindal was elected Governor of Louisiana today. Mark Steyn on the Democrats' attempt to spread Euro-style Socialism in the United States. The latest example is the SCHIP federal insurance program. The Democrats keep alleging that Republicans are waging a "war on children," but as Steyn points out, the real war on children is "bequeathing the next generation a system of unsustainable entitlements that turns the entire nation into a giant Ponzi scheme." USC beat the Fighting Irish today! It's the first time that USC shut out Notre Dame at home since 1933, and it was Notre Dame's worst home shutout since 1960. It was also the largest Trojan margin of victory in the history of the series. Previously: November 2006 Trojan victory. I have to give the L.A. Times credit, they've been digging into more of Hillary's mysterious Chinese benefactors, and they ran the story on Page 1 today. It seems that many poor Chinese in New York are giving Hillary large donations. Somehow busboys are contributing $1000 and $2000 to Hillary's campaign. "The Times examined the cases of more than 150 donors who provided checks to Clinton after fundraising events geared to the Chinese community. One-third of those donors could not be found using property, telephone or business records. Most have not registered to vote, according to public records. And several dozen were described in financial reports as holding jobs -- including dishwasher, server or chef -- that would normally make it difficult to donate amounts ranging from $500 to the legal maximum of $2,300 per election." More: "Most of the Chinese reported as contributing to Clinton's campaign have never voted. Many speak little or no English. Some seem to lead such ephemeral lives that neighbors say they've never heard of them." Also: "At least one reported donor denies making a contribution. Another admitted to lacking the legal-resident status required for giving campaign money." I believe that China is very invested in having the Clintons back in the White House. The Norman Hsu matter was just one part of an ongoing story in which the Clintons' finances have been tangled with Communist China for years. WLS has further commentary on this at Patterico's site. Meanwhile, Hot Air has an interesting story connecting the dots between Norman Hsu and a Hillary Clinton earmark of nearly a million dollars in taxpayer funds for the New School -- where Hsu was a trustee. Mark Hemingway of NRO on the history of this fine charity, which has been supported by Rush Limbaugh since early in its existence. The auction of Harry Reid's smear letter closes today. At this writing the high bid is over $2,100,000. Harry Reid's tried to take some credit for this on the floor of the Senate today, saying he'd never thought it would generate the kind of money that is being generated. He encouraged people to go to eBay and bid! Rush noted that Reid acting as though he's been involved all along is almost Orwellian...of course, Reid didn't apologize to Rush...or mention Rush is matching the high bid. Nor did he take Rush up on the challenge to match the high bid himself. Meanwhile, here's a transcript of Rush's appearance on HANNITY AND COLMES last night. Previous posts on this topic: October 18th and October 12th, 2007. The Auction Has Ended: The high bid was $2,100,100. Congratulations and thanks to Rush and the high bidder for doing a great thing for a wonderful charity. Update: The winning bidder is philanthropist Betty Casey. Here's one article I found about Mrs. Casey's charitable work. She donates to hospitals, colleges, and the Salvation Army, among other worthy organizations. Afternoon Update: Captain's Quarters on Harry Reid trying to take some of the glory while paying none of the price, and Thomas Lifson on the media's non-coverage of the auction (Rush's "political jiu-jitsu masterstroke"). Will the mainstream media blackout continue? A billionaire Republican who wants a Woodstock concert museum contributed nearly $30,000 to Senators Chuck Schumer and Hillary Clinton, just a few days after the senators requested a $1 million "earmark" for the museum. A Senate committee approved the request, but Republicans successfully halted the funding, which was included in a -- get this -- health and education bill. Aside from the obvious quid pro quo issue, what immediately occurred to me was: If this billionaire thinks a Woodstock museum is critically important, why doesn't he pay for it himself? If he doesn't want to foot the whole bill, why doesn't he tap friends and business associates for contributions? Instead he'd rather pay bribes to senators who are ostensibly in the opposite political party, and force those of us whose incomes are a relative drop in the bucket to pay for his pet project? And why do senators spend our money so easily? Because they can, of course, and because it cements their power. The automatic assumption that projects such as the Woodstock Museum should be funded by taxpayers is infuriating. Too many people, senators included, forget that that money didn't appear out of thin air -- it came out of my pocket and yours. The bids for Rush Limbaugh's charity auction of the smear letter signed by 41 Democrat senators continue to climb. With 24 hours to go, the bidding is now over $131,000 to raise funds for the Marine Corps - Law Enforcement Foundation, which provides support for the children of fallen soldiers and police officers. Rush will be personally matching the high bid. Check eBay, at the subject link, tomorrow at 1:00 p.m. Eastern/10:00 a.m. Pacific for the final bid. Thursday Afternoon Update: The bid is now, amazingly, at over $851,000. And to think this has happened with virtually no publicity by the mainstream media. Rush indicated today on his show that only Fox News has covered the auction. Thursday 9:00 P.M. Pacific Update: The bid is now over $1,200,000. Talk about a million dollar "in your face"...and all for a wonderful cause. Later: Make that a $2 million "in your face"! Elegant actress Deborah Kerr, star of countless film classics, has passed away at age 86. Kerr's memorable films include FROM HERE TO ETERNITY, JULIUS CAESAR, AN AFFAIR TO REMEMBER, SEPARATE TABLES, and THE SUNDOWNERS. THE HUCKSTERS, costarring Clark Gable, was reviewed here earlier this year. The beach scene in FROM HERE TO ETERNITY, of course, ranks among the most famous cinema love scenes of all time, and AN AFFAIR TO REMEMBER is also immortalized as a key plot element in SLEEPLESS IN SEATTLE. My two favorite Kerr performances are in KING SOLOMON'S MINES and THE KING AND I. KING SOLOMON'S MINES is a rip-roaring good adventure film, with Kerr always believable as the spunky British woman looking for her missing husband -- even when she magically transforms her hairstyle in the middle of the jungle. And she was absolute perfection as "Mrs. Anna" in THE KING AND I, even if she did need to have her singing dubbed by Marni Nixon. The mixture of grace and courage seen in these films were key elements of the Kerr film persona. Kerr is survived by her husband of 47 years, two children, and grandchildren. 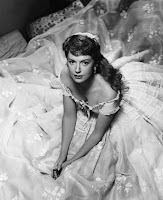 Deborah Kerr was a great lady whose contributions to film history will live on forever. Update: TCM is changing its originally planned schedule for Sunday evening, October 21st, and honoring Kerr with showings of FROM HERE TO ETERNITY and SEPARATE TABLES. Update: A touching tribute at Self-Styled Siren. I'm sure there will be more blog tributes forthcoming in the near future. Late Update: More to read at The Shelf. October 22 Update: Another good tribute at Missyisms. Miss Kerr was obviously special to a great many movie fans. October 23: A new Kerr post is above. Al Lutz of MiceAge has detailed information about the forthcoming changes, as well as anticipated changes not yet announced by Disney -- Mickey's Philharmagic coming to DCA being one of them. The L.A. Times also has a detailed rundown, including a map which can be enlarged to view the projected changes. The Times, incidentally, does include Philharmagic in its map, although they don't call it by the correct name. Previous posts on this topic: August 30, October 16, and October 17, 2007. Marching Band a Threat to Hearing? On the other hand, it seems like to some extent this would be an issue playing with any large musical group, if you're sitting right in the middle of all the instruments. Is hearing loss something typically experienced by orchestra members, for example? In any event, something for band parents to think about! The beautiful Marsha Hunt turns 90 today. TCM rearranged their originally planned schedule to celebrate Marsha's birthday in style, with a long lineup of her movies. It's been fun to see my Site Meter spinning over the course of the day as other Hunt fans find my posts on her movies. Marsha Hunt is a Golden Era actress I particularly enjoy. She could do supporting comedic roles (PRIDE AND PREJUDICE, SEVEN SWEETHEARTS), melodrama (THESE GLAMOUR GIRLS), or romantic leading ladies (THE HUMAN COMEDY, LOST ANGEL). She also appeared in the film noir classic RAW DEAL, directed by Anthony Mann. Marsha is still a busy lady, whose activities range from reciting poetry at the Hollywood Bowl's Easter Sunrise Service to attending a film noir festival at which RAW DEAL was screened to producing a CD. Marsha says, "I’ve had the fullest 90 years imaginable. I can’t think of a year that was wasted. They were so crammed with variety and privilege and opportunity." L.A.'s Fine Arts Theatre honors Marsha at a screening of A LETTER FOR EVIE this Saturday, October 20th. Another tribute to Marsha can be found at L.A. Daily News. Reviews of Hunt movies posted here at LMM: THE AFFAIRS OF MARTHA, SEVEN SWEETHEARTS, BRIDE BY MISTAKE, and THESE GLAMOUR GIRLS. Update: Here's an interesting story about a short movie Marsha filmed this year. "Don't Leave Educating Our Children to the Government"
Jeff Jacoby of the Boston Globe has written an excellent column on public education. Among his comments: "...why should children be locked into a one-size-fits-all, government-knows-best model of education? "Nobody would want the government to run 90 percent of the nation's entertainment industry. Nobody thinks that 90 percent of all housing should be owned by the state. Yet the government's control of 90 percent of the nation's schools leaves most Americans strangely unconcerned." More: "In a society founded on political and economic liberty, government schools have no place. Free men and women do not entrust to the state the molding of their children's minds and character. As we wouldn't trust the state to feed our kids, or to clothe them, or to get them to bed on time, neither should we trust the state to teach them." Last March I linked to another of Jacoby's columns calling for "the separation of school and state." I agree with this philosophy 100 percent, but I'm afraid most Americans are too lethargic and accepting of the status quo to want to take more personal responsibility for their children's education. I've personally seen far too many instances of parents who won't bother to rock the boat at their local school, even when the boat is in serious need of rocking; that type of parent probably finds it easier simply to be told where to send their child for school and be done with it. Friday Update: Another blogger had an interesting exchange with Jeff Jacoby regarding the column. More news on the $1.1 billion redesign of Disney's California Adventure described here yesterday. An anti-Disney Anaheim Councilman quoted by the L.A. Times alleges this announcement is to buy off voters to take Disney's side in the ongoing issue regarding changing the character of the resort area by putting low-income housing next to the parks. The councilman is the one guilty of politicizing this overhaul. The changes to DCA have been in the works for a very long time, as those who have followed Disney park websites are aware. The insistence of Anaheim politicians on plopping an "affordable housing" project -- which would doubtless soon be run down, if not dangerous -- into the middle of the resort area is baffling, considering how the project could ultimately damage the city -- and its tax revenues. Disney is holding a press conference today to formally announce their plans. Watch MiceAge for more news. Update: 2719 Hyperion has Disney's press release detailing the plans, many of which have been rumored in the past at MiceAge; see my post of August 30, 2007. L.A. Observed focuses on the news that the renovated park will include a replica of the Carthay Circle Theater, home to the premieres of SNOW WHITE and FANTASIA. Some great old postcards of the Carthay Circle can be seen at Blackwing Diaries. Thursday: Another update is above. Fred Thompson: "Keep the Internet Tax-Free"
At the end of the month the Grand Hotel on Mackinac Island is hosting a SOMEWHERE IN TIME weekend. If you can afford the bill, there are opportunities to meet members of the cast and crew -- no word whether Jane Seymour can leave DANCING WITH THE STARS for the weekend (grin) -- as well as screenings of the film. I have fond memories of seeing this movie, which first came out in 1980. Viewed today, the film has added poignance, given the tragedy which would later befall Christopher Reeve. One of Jane Seymour's sons is named after Reeve. I highly recommend the Collector's Edition DVD, which includes an excellent documentary. 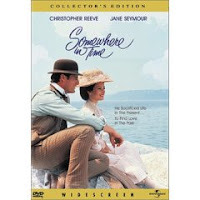 The Official Somewhere in Time website indicates there is a forthcoming Broadway musical version. I somehow doubt, however, that a live version could capture the same magic as the movie filmed on Mackinac Island. Last week Hillary Clinton said that she has a million ideas, but "The country can't afford them all." Mrs. Clinton seems determined to prove this, as she announced her latest proposal, $1 billion in grants to states to provide paid family leave. First the liberals wanted guaranteed family leave, and now, not surprisingly, they want it salaried. Which means the rest of us are going to pay for others' leaves, rather than saving for our own needs. She also wants employers mandated to pay for seven sick days per year and increased child care subsidies -- including payments to parents who stay home to care for their own children! Wednesday Update: Commentary on this from Ed Morrissey at Captain's Quarters. The rumored changes for Disney's California Adventure are about to come to fruition, as Disney has announced a $1.1 billion overhaul of the park. The revamp will take place over the next five years and includes the addition of a CARS land. 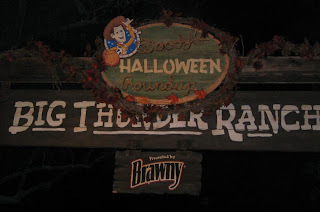 Under the Eisner/Pressler regime, DCA was supposed to be an "edgy" park without much overt Disney theming. This plan -- including a lack of family-friendly rides and too many unoriginal, penny-pinching "off the shelf" rides -- flopped. Gradually more family rides and more "Disney" were introduced at the park, along with rides that were Disney-specific, such as Monsters Inc. (which is in the tradition of the classic Disney "dark" rides) and Tower of Terror. There is much to enjoy in DCA, but it simply wasn't built on a scale that compares to other Disney parks. While it's been improved since its opening, it sounds as though it will soon be even better -- starting with the Toy Story ride opening in Summer 2008. Wednesday Update: An update is posted above. Thursday Update: Another update has been posted today. 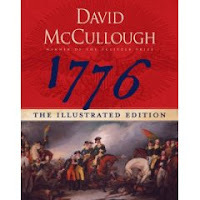 A new edition of David McCullough's highly regarded Revolutionary War history, 1776, has just been released. The book is an abridged version of the 2005 book, with photos, maps, and letters replacing some of the original text. McCullough describes the creation of the new edition in an interview with the Wall Street Journal. He says "What I did was to try to fill in the necessary material that was lost through the picture captions." McCullough also has interesting thoughts on the teaching of history, with which I agree completely. McCullough's next book is about Americans in Paris in the 19th and 20th centuries, including Mary Cassatt and George Gershwin. Last week the Los Angeles City Council refused to vote on whether or not the Felix the Cat sign at Figueroa and Jefferson should be declared an historic monument. Instead, the Council "tabled" the motion to avoid taking a stand on the issue. The sign belongs to Felix Chevrolet. Felix Chevrolet CEO Darryl Holter, who incidentally has a doctorate in history, expressed relief that the dealership will not lose control of its sign and showroom. Preservationists next intend to nominate the sign for the National Register of Historic Places. Previous posts on this issue: July 12, 2007, July 26, 2007, August 23, 2007, and August 30, 2007. For much of my childhood and years beyond, Dodgers games aired on KABC 790. The Dodgers left the station a decade ago. Thus I was quite surprised today to hear multiple announcements on KABC radio that it was the "flagship station of the Los Angeles Dodgers." It was announced today that the Dodgers are returning to the station where they have the longest Los Angeles history. Even better, KABC will be airing more spring training games than have aired in recent years. Michelle Malkin (subject link) on the Democrats once again using an "unassailable victim" -- a child -- to promote their expansion of the SCHIP insurance program to the middle class: "Question for Grown-Ups: Who Deserves Government-Subsized Health Insurance?" Michelle wrote more here; see also Power Line on "Meanies, Hypocrites, and the Infantilization of Politics." Schwarzenegger Vetoes California DREAM Act: The rejection of college financial aid for illegal immigrants was a good move, but what's with signing the pro-homosexual school bills? Gore Gets a Cold Shoulder: A prominent scientist is exasperated by Al Gore and his movie, and accuses Gore and global warming alarmists of "brainwashing our children." Rush Limbaugh Earns Big Money From Senate Letter Chastising Him: This Fox News headline has it all wrong, implying Rush is personally making money from the letter. The auction, which currently has a top bid of $41,000, is to benefit the children of marines and law enforcement officers killed in the line of duty. Fox doesn't make this clear until the second paragraph of the story. Picky Eaters? They Get It From You: Some scientists think children's food aversions are 78% genetic, rather than environmental or learned behavior. Maria Von Trapp's Stepson Dead at 91: Mark Steyn has written a brief remembrance of Werner Von Trapp. Werner was renamed "Kurt" in THE SOUND OF MUSIC; his siblings were also renamed in the musical, and the oldest was switched from being a boy to a girl. They also left out that Maria and the Captain had two daughters together, and Maria was pregnant with their son when they hiked over the mountains! For the real story, read THE STORY OF THE TRAPP FAMILY SINGERS by Maria von Trapp. A Conversation With Drew Casper: An interview with USC's great cinema professor, who recently published a new book on post-war Hollywood. Casper's books on Stanley Donen and Vincente Minnelli are already on my shelves. 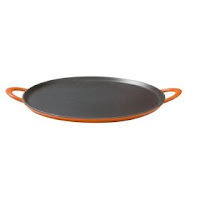 Mario Batali Pizza Pan: We're interested in learning to make pizza and have heard some good things about this pan. But the reviews indicating the handles are fragile concern me. If anyone has any recommendations for pizza pans, feel free to share in the comments! Democratic aides were bizarrely instructed that it would be wise to obtain immunizations before making a Homeland Security related visit to Lowe's Motor Speedway in North Carolina. It was recommended the aides receive more shots than are required for a visit to the Congo! This funny video sums it up. As Redstate notes, this is a great example of the Democrats defining themselves. In actual NASCAR news, the great Dale Jarrett has announced his semi-retirement. In actuality, Jarrett has been semi-retired this year, as the Michael Waltrip team's Toyotas have had trouble qualifying for races. Jarrett -- a three-time Daytona winner and the 1999 season champion -- is expected to move into the broadcast booth. We made a brief visit to Disneyland this evening, as our college daughter is home for the weekend. The park was insanely crowded with others who had come out on a Friday night to enjoy all the decorations. We didn't do much more than eat dinner and take a ride on Snow White, but I did manage to snap a couple of photos. Photos from our trip of two weeks ago are here. 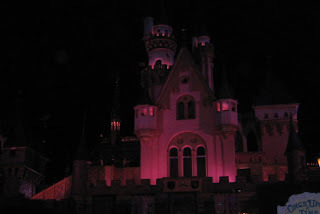 At that link you can also find links to photos I took during Halloween Time 2006. This is too delicious...Rush Limbaugh has obtained the letter to Clear Channel signed by Harry Reid and 40 other Democrat Senators charging that he doesn't support the troops. Rush is auctioning off the letter on eBay to raise funds for the Marine Corps - Law Enforcement Foundation, which provides assistance to the children of fallen Marines and law enforcement officers. Rush serves on the Foundation's board. This is too, too funny, and what a wonderful way to turn the phony charges of Harry Reid and Move On to good use. Rush is challenging Harry Reid to match the amount raised by the auction and donate it to the Foundation. October 18th: An update to this story has been posted today. 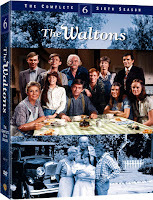 Season 6 of one of my all-time favorite series, THE WALTONS, comes to DVD on January 8th. Here's a look at the beautiful cover art. I loved the depiction of the WWII years later in the series. This season includes "The Children's Carol," in which children who are refugees of the London Blitz come to stay with the Baldwin Sisters. As the box shows, this was also the season when Mary Ellen and Curt became the parents of John Curtis. THE WALTONS ran 9 seasons, and there was also a "10th season" which consisted of three two-hour TV-movies which I would love to see on DVD. Hopefully the 1980 special A DECADE OF THE WALTONS will be in one of the later DVD sets as well. As for the 1990s "reunion movies," which erased characters and logical timelines...we'll pretend those didn't exist! An interesting website, Los Angeles in the 1900s, has a fascinating series of old photos of the Angels Flight cable cars at Bunker Hill. An index of other things which can be found at Los Angeles in the 1900s is here. If you're interested in Southern California history, you'll want to check out this site. The proprietor is George Garrigues. 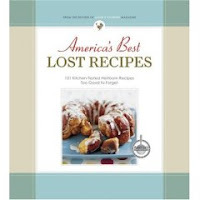 USA Today has the story on the newest book from the folks at America's Test Kitchen and Cook's Illustrated: AMERICA'S BEST LOST RECIPES: MORE THAN 150 HEIRLOOM RECIPES TOO GOOD TO FORGET. My favorite cookbooks include this group's THE BEST RECIPE, THE COMPLETE BOOK OF CHICKEN, and especially THE AMERICA'S TEST KITCHEN FAMILY COOKBOOK, so I'm looking forward to learning more about their latest title. As part of his plea bargain, Sandy Berger -- who infamously stole and destroyed highly classified documents from the National Archives -- was supposed to submit to a polygraph exam. The Justice Department has inexplicably refused to administer the exam. As noted by National Review, the Justice Department's light treatment of the Berger case has been strange from the outset. Rep. Dana Rohrabacher -- who was my Representative for many years until redistricting -- has written the Justice Department asking that the polygraph exam go forward. 22 members of Congress also signed the letter. Instead of fulfilling his legal obligations, Berger is now advising Mrs. Clinton, as mentioned here last month. One has to wonder: Does Mrs. Clinton feel she owes Berger a position in order to keep him quiet about what he destroyed? The Clinton campaign, it should be noted, claims Berger has "no official position." However, they skirt around confirming that he's unofficially advising her. The strange thing is that so many Americans, including those in the media, are willing to give Mrs. Clinton a free pass despite her sordid connections and unsavory past activities. Barbara Olson's THE FINAL DAYS continues to make the case against Hillary, six years after its publication. If you've not yet read it, it's an eye-opening "must read."